I know baseball season is over, at least for the Baltimore Orioles, but I just had to share what a great time I had at the first ever Social Media Night at Oriole Park at Camden Yards – more commonly known as #BirdlandSocial. $35 bought me a bleacher seat and entrance to the pre-game party at the roof top bar above center field, which included drinks, food, raffle chances, a big foam finger, and a Q & A with Orioles front office and media. A day before the event, I read that Orioles front office meant Dan Duquette, not Brady Anderson. Unfortunately, Brady was at an event in Delaware. I was probably the only person there who was disappointed that the Executive Vice-President of Baseball Operations for the Orioles was there instead of his assistant. 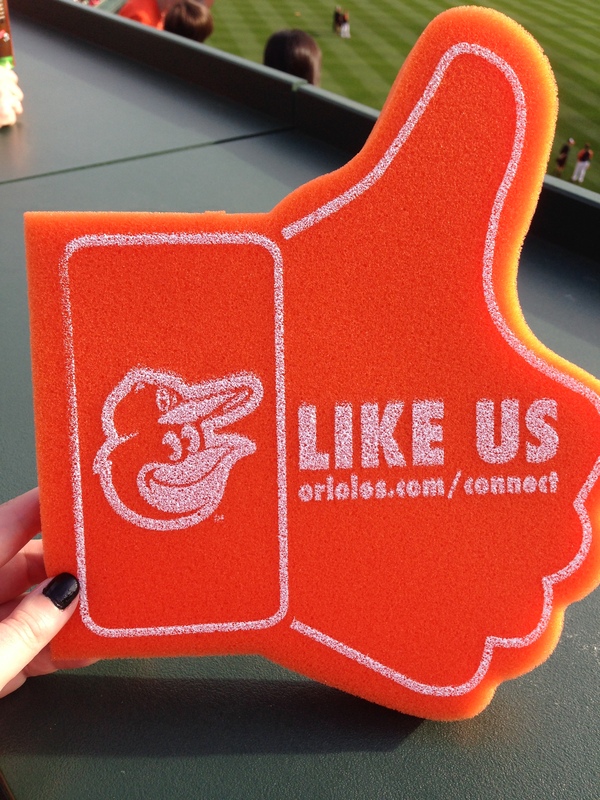 I also learned that we would get an Orioles orange foam finger in the shape of a thumbs up facebook like. I guess you have to take the good with the bad. As far as the food and drink was concerned, I thought we might get hot dogs and cokes. Boy was I wrong. We each got two drink tickets, which we could use for beer, wine, mixed drink or soda. 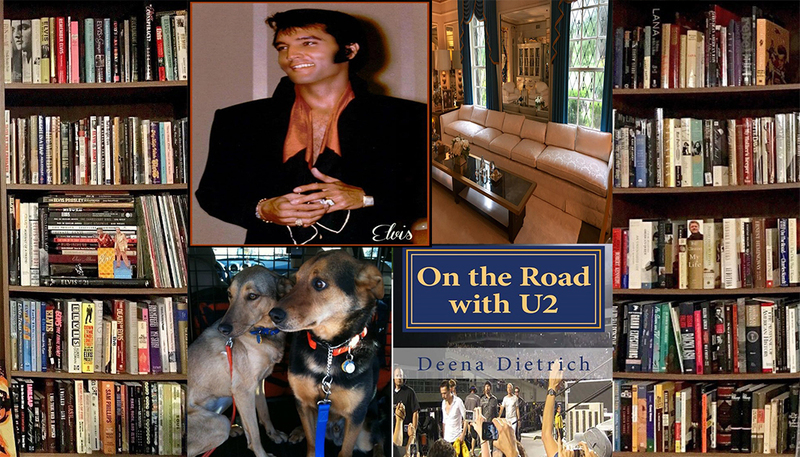 But even more exciting was the food – maybe that’s because I’m a real foodie. There was a buffet set up with chicken fingers, a fruit plate, a veggie tray, and a cheese platter. This was not your typical cheese plate with cheddar and swiss cubes. This was a cheese platter with Brie, Gorgonzola and that really yummy Irish Cheddar – along with cheddar and swiss cubes. I got my white wine, filled my plate with food and then took my seat overlooking center field. 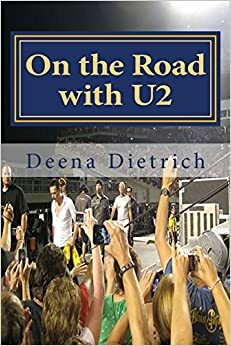 While I was watching batting practice, waiters and waitresses came around with platters of veggie spring rolls and coconut shrimp that were fantastic – and they kept circling the crowd again and again. After a little while, the Q and A began with Dan Duquette, Orioles beat reporter Brittany Ghiroli, MASN Orioles reporter Roch Kubatko, and Orioles announcer Ryan Wagner as MC. 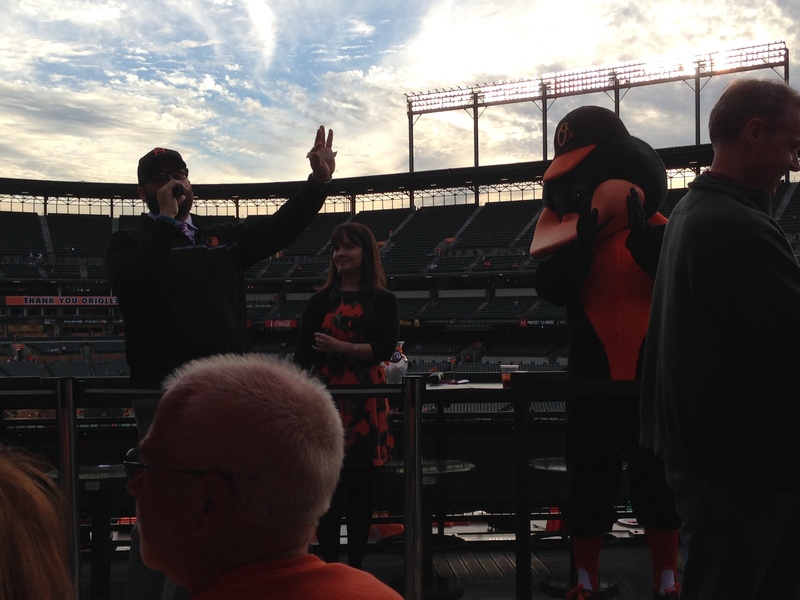 The Oriole Bird was in attendance to mingle and help Wagner with the raffle. I didn’t win any of the three prizes that were raffled off, including an autographed Adam Jones’ jersey. But I did go back for seconds at the buffet. There was so much food! I also had another glass of wine. I didn’t want to waste that second drink ticket. Apparently we could have stayed at the rooftop bar for the entire game, but I wanted to sit with my friends who didn’t make it to the pre-game party. Throughout the game, the Orioles celebrated Social Media be giving away prizes through Twitter. If you tweeted @Orioles with #BirdlandSocial, you could get your tweet retweeted on the big screen and have a chance to win an autographed JJ Hardy bat. If you tweeted @Orioles with #BringMeFood with your section, row and seat and what food you wanted, you had a chance of getting your food for free delivered to you by the Oriole Bird. I didn’t win that either. 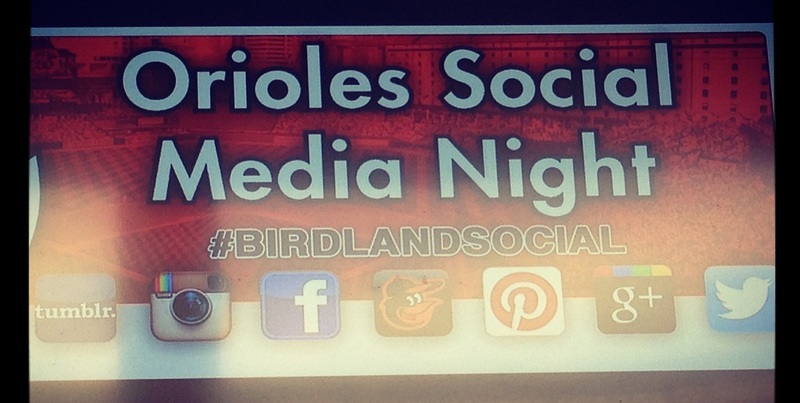 The Orioles first Social Media Night was a success and a lot of fun. I hope they continue to have one every year!